No matter how you slice it, there is no such thing as a sustainable shortcut. On a long enough timeline, those who do things the right way prevail over people who consistently cut corners. When you start pulling orders ahead, you start the next period at a deficit, which adds a level of pressure and uncertainty to your performance for the next month. You’re increasingly likely to borrow again from Peter to pay Paul. Not only is this a symptom of a terrible pipeline, but it’s only a matter of time before you do long term damage to your business, and your reputation as a salesperson. I love email. I think it’s a very effective communication tool. That said, I think we take a few too many liberties with this medium. There’s no denying email can be a wonderful communication channel, but it becomes problematic when it is our primary communication channel. We spend a lot of time running around doing things that are not actually important. Maybe they make us feel important, but they really aren’t. It’s a hamster-wheel struggle, and the struggle is real. Chances are, if you’re completely torn up by every lost sale, your pipeline is not as robust as it should be. You might think I’m weird, but I’m here to tell you: those metaphorical punches in the face can be exhilarating, and they help drive my success. Bumps in the road beg you to reevaluate. New issues and initiatives undoubtedly regularly come up in your personal life and your business. Do they present bona fide opportunities? Or are they just shiny objects and distractions in disguise? Of course, you need to know how the decision will be made. Of course, it's valuable (but not necessary) to know what the budget will be. But anybody can ask those questions. You need to ask the questions that nobody else can ask. None of your customers do business with you because you occasionally buy them a free meal, entertain them for an afternoon, or make a great presentation. They buy from you because they have a problem, and you have the solution. It's about identifying and understanding what needs to be done, empowering others to do the work they're entrusted to do, and owning the outcome regardless of whether it's good or bad. It's a common assumption that your company knows exactly what it needs to do in order to deliver results and outcomes for the customers you serve. More often than not, that's just not the case. When challenges arise, it’s easy to get defensive and complain, but when the going gets tough, the tough get going. The tough view obstacles as opportunities. Sometimes we all need an attitude adjustment. No matter what you do, or how much effort you exert, in the end, it is your prospect’s decision. You must remove your ego from the sales process and realize there is a limit to what you can do. Stop worrying about the budget and start talking about solutions to problems that were previously impossible to solve. Jeff Bajorek has real, authentic sales experience and he's here to help you succeed. 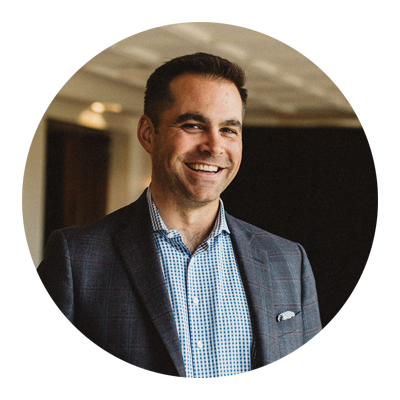 After more than a decade as a top performer in the field, Jeff shares his real sales strategies and methods through writing, speaking, and leading sales workshops and training programs. His book The Five Forgotten Fundamentals of Prospecting focuses on five mind-blowingly simple, common-sense fundamentals most salespeople ignore. When Jeff is not writing, speaking, or training he is co-hosting his business, life, and leadership podcast, The Why and the Buy. Jeff's unique approach has been featured on the Sell or Die Podcast, The Salesman Podcast, Business Growth Time, The Nice Guy’s on Business Podcast, and more. Subscribe for the latest from Jeff.